The philosophy of convergent modelling represents something of a paradigm shift in design manufacturing, and Danish toy maker Lego is employing it to build some of its grander creations. 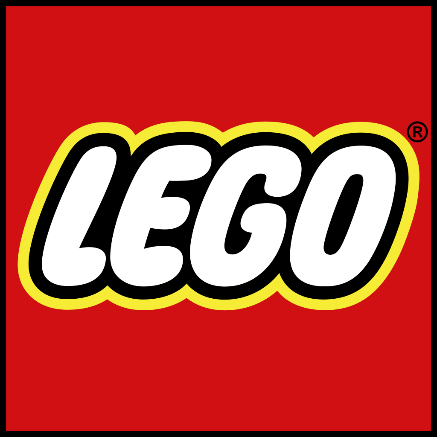 Taking its name from the Danish phrase leg godt (play well), Lego was founded by carpenter Ole Kirk Christiansen in 1934. The company started out producing a range of wooden toys and, in 1949, invented the early prototype of its flagship interlocking bricks product. In 1958 the design was developed into its current form, which allowed for their famous and almost limitless versatility. Today, Lego is one of the world's most famous toy brands. It's rare to find a corner of the globe where its brightly colored bricks aren't recognized, and Lego has produced sets with an impressive portfolio of acquired licenses, ranging from Star Wars to The Simpsons. In its 2018 list of the world's most valuable brands, BrandFinance placed Lego at #222. Precision manufacturing is at the heart of everything Lego does, and it's always keeping one eye on the newest developments in the industry. Convergent modelling was developed by industrial conglomerate Siemens to revolutionize the way products are moved from design to manufacturing. The principle of the system was to enable designers to employ a combination of facets, surfaces, solids, and materials without the need to spend time converting data. Older CAD solutions were developed to be compatible with traditional manufacturing. However, with the advent of more modern processes, such as 3D printing, there was a need for a design philosophy which was able to facilitate the increased geometrical range of these methods. For example, by making it simpler to merge scanned data with other modelling methods. "We anticipate Convergent Modelling will be a critical tool for efficiently working with facet geometry," said Joe Bohman, Vice President of Product Engineering Software at Siemens. "This new one-of-a-kind technology is expected to provide huge savings in time and cost and help eliminate the error-prone rework phase, common when working with scanned geometry. It also removes the limitations associated with traditional CAD modelling when it comes to optimizing parts for 3D printing. 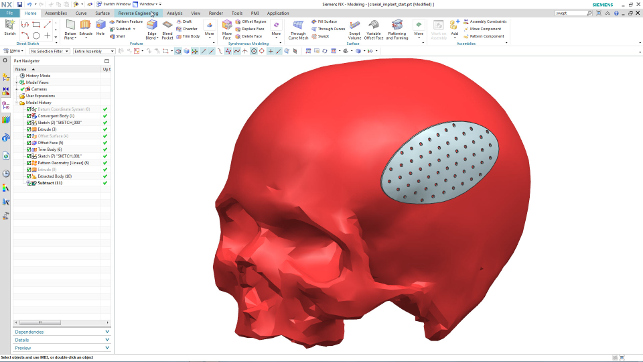 NX11 simplifies the design process and supports the evolution of additive manufacturing to help companies realize a whole new level of creativity in product development." Bright Bricks is the subsidiary of the Lego Group, and is responsible for creating the lavish models which populate the company's LEGOLAND theme parks. However, the London based company also creates its grand Lego statues on commission for other companies and organizations. Any Bright Bricks creation over one meter tall is made with a Lego exterior built over a steel frame for stability. The issue with traditional software was that it struggled to visualize the internal structure properly, leading to a painstaking process of calculating the number of bricks being used in the model, and then working out the dimensions of the frame separately. "You needed a magnifying glass, and it really gave you a headache," said Bright Bricks intern, Kirsty House. "And, even after we'd figured out more or less what the structure needed to be, we had all sorts of incidents in the past. Often a corner wouldn't fit, and we had to shave off some steel." Bright Bricks first employed the Siemens convergent modelling solution when manufacturing 80 models for an exhibition at Marwell Zoo, Hampshire, UK. The models ranged from a tiny spider to a life-sized elephant creation, and convergent modelling enabled the manufacturing process for the steel frames to be significantly streamlined, and the 2 million brick project to be completed in a timely manner. It's clear that Lego is constantly looking for ways to innovate the manufacturing process at all levels of its industry. With Siemens' convergent modelling software, Lego's Bright Bricks division has made a significant improvement to the way it produces its beautiful and complex products. The final word goes to Bright Bricks intern, Kirsty House. "In the past, it would have taken at least two weeks to figure the structure out for the 1.5-ton elephant and now it took less than two days! Convergent modelling makes it possible to directly transfer the files of our 3D models into [the software] and to use them there as a reference for the corresponding steel structures. I love that we make amazing things that make kids really happy - and that everyone, even adults, is in awe of what we do." You can hear Lego's Vice President of Elements and Molds, Jesper Toubol, speak at Connected Manufacturing 2018 in June, in St Louis, Missouri.